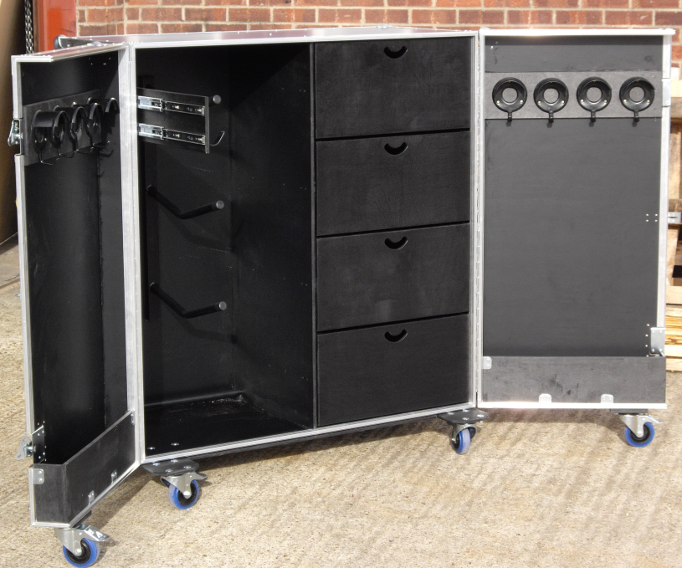 We have been designing and building flight cases since 1996 and by using that knowledge and experience, we have adapted the basic flight case design to provide a range of custom built tack lockers, grooming cases, rug trunks and other storage cases. We offer a range of double and single locker designs, all of which can be modified to meet your own personal requirements. We would be delighted to work with you to find a design that best suits you and your horse riding equipment. 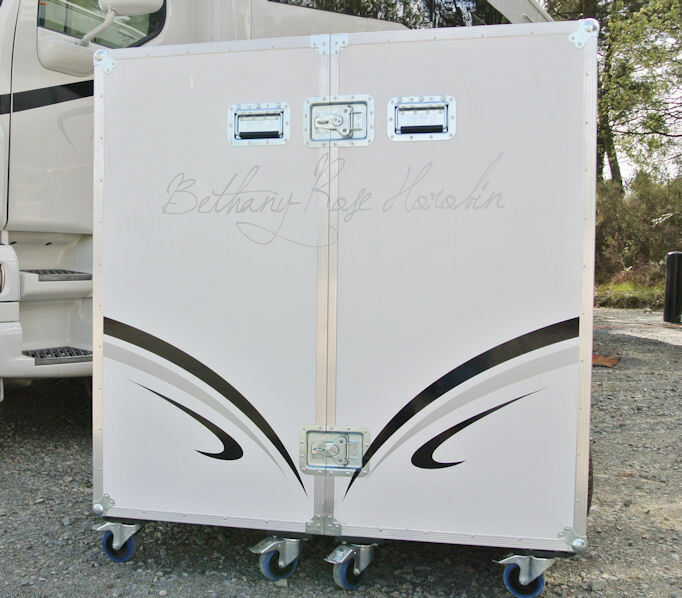 Our tack lockers are perfect for transporting all your tack to shows and events and just as effective for storing tack around the stable yard. Being custom made, you may choose from a wide range of colours and panel materials, locking and padlocking catches, recessed handles fitted in a position to suit you and castors and wheels in different sizes, dependent on the type of terrain they will be used on. Our range of smooth laminate panels is perfect for applying vinyl graphics to give an individual look to your lockers and the insides of the tack lockers are custom-made, with saddle racks, bridle hooks, pull out hooks, cupboards, door pockets, drawers and shelves to suit you. Competitively priced, robust and smart, our lockers will protect your equipment for years to come, so please call us today for your requirements.